Four-color process printed on Side 1 of 18pt C1S Semi-Gloss stock. Coated with Aqueous Matte. H1 business card slits on right pocket. Large serif letters match the two blue lines bordering a black and white photo of a crossroads. The cool blue presents a relaxing, level-headed style to complement the bustling city street, while the photo takes on a vintage appearance and the positive connotations of old, trustworthy businesses. To reinforce its brand identity, the capital management firm places its logo on both interior pockets. The right box pocket carries more papers than a normal pocket; a blue stripe on the spine highlights the extra room inside. 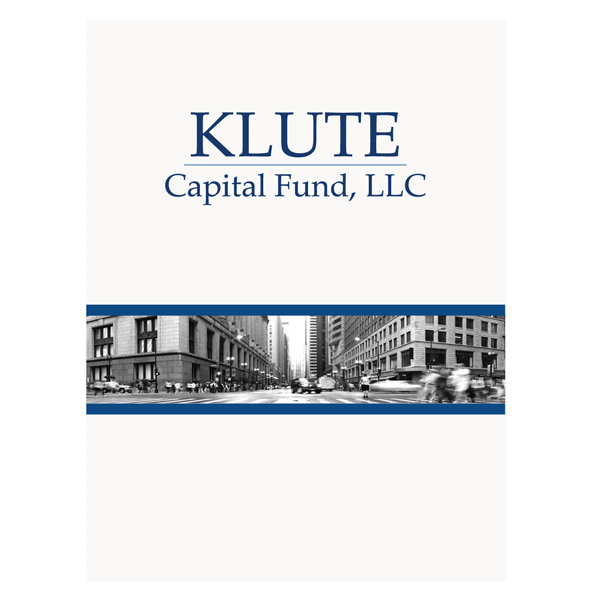 On the back cover, an informational paragraph provides details about Klute and its services. RE/MAX partners with Sea to Sky Real Estate to sell homes in the Canadian town of Rainbow, Whistler with this vibrant design. The bright yellow background conveys British Columbia's natural beauty, radiating from the orange and white logo like rays of sunshine. Imitating a rainbow, the slogan arcs over the logo, whose letter "b" grows into a towering pine tree. Homebuyers can place regular paper inside the standard left pocket. The box pocket on the right houses thicker items, such as property packets or brochures, that would tear an ordinary pocket. 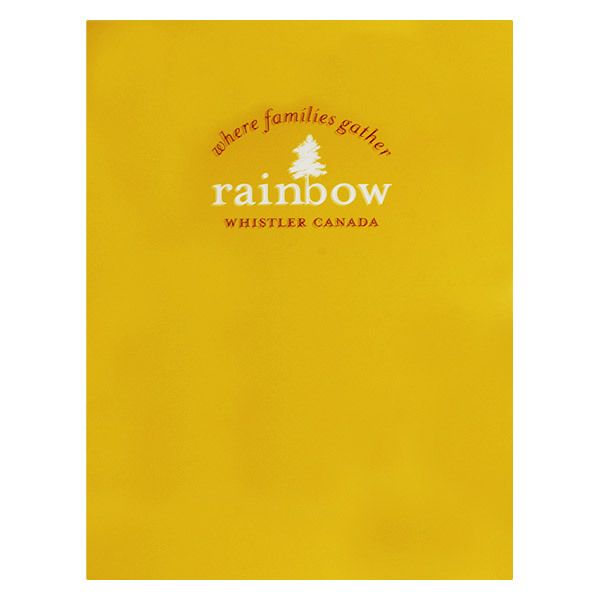 The two storage styles make customers' real estate documents as comfortable in the folder as they will be in Rainbow's luxury homes. Four-color process printed on Side 1 of 14pt C1S Semi-Gloss stock. Coated with Aqueous Gloss. H2 business card slits on right pocket. Skanska's striped cover design gives a nod to the construction company's ethical, eco-conscious practices with varying shades of blue and green, which allude to earth's natural resources such as water, clean air, and plant life. 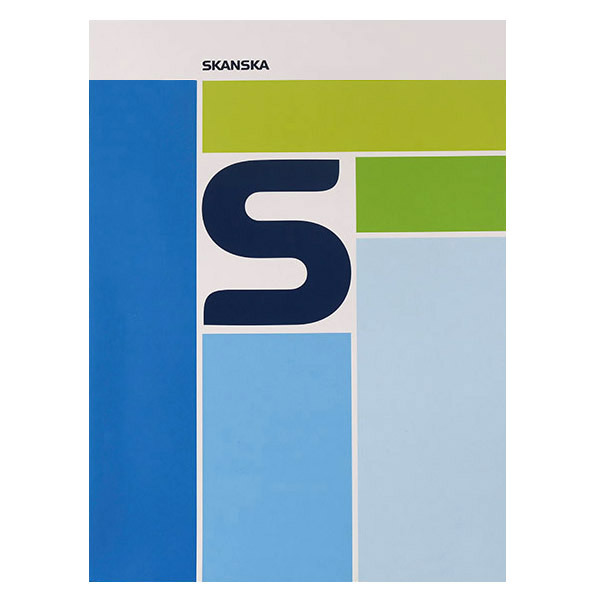 The color palette is much lighter than that of a typical construction firm's folder, promoting Skanska's friendly, good-natured company culture. A royal blue back cover and interior pockets establish a sense of professionalism to balance out the light, airy feel of the striped cover. To increase carrying capacity yet maintain a discreet size, the folder pairs a traditional left pocket with a box right pocket. Four-color process printed on Side 1 of 130lb C2S Dull stock. Coated with Aqueous Matte. H3 business card slits on left pocket, with H2 business card slits on right pocket. 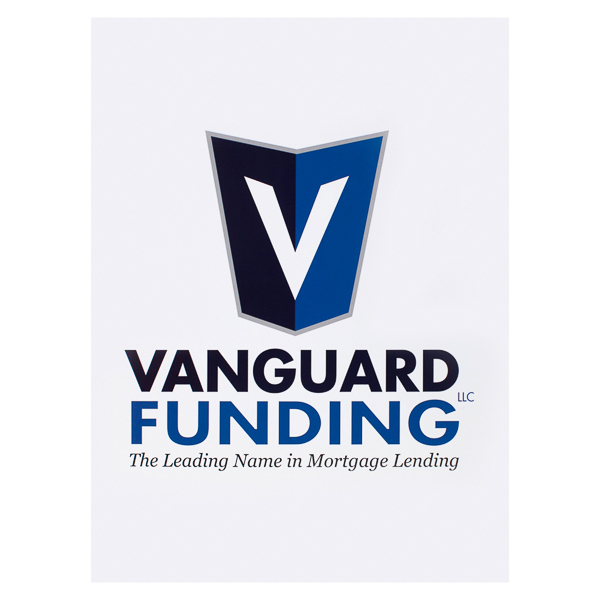 Vanguard Funding's bold "V" logo looks like a medieval shield, symbolizing strength and stability. The mortgage lender's brand colors combine a high-end navy blue with a lighter medium blue to make a professional impression on potential borrowers. Contact and licensing information on the back cover send a message of trustworthiness by putting the brand's credentials in the public eye. All your presentation needs are met in one product with two different die-cut pockets. The right box pocket holds print media up to 1/4" thick, such as presentation packets, brochures, or booklets. A standard left pocket offers secure storage for slim letter-size papers. Both pockets hold 8 1/2" x 11" print collateral and have an unglued v-split cut along the inner edge to prevent the pockets from buckling when closing the covers. A 1/4" backbone supports pocket contents and maintains a smooth outer look when the product is full.